Could You Be Allergic To Hair Color? This post contains affiliate links. I may be compensated if you make a purchase after clicking them. Did you know that you could be allergic to hair color? It may sound crazy, but some people get sick every single time they try to color. The culprit? Resorcinol and other chemicals like PPD and ammonia. 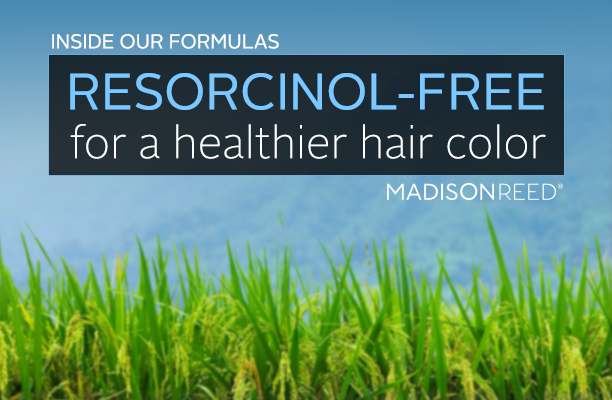 Resorcinol is an inexpensive coloring agent that’s found in 3 out of 4 hair color products. If you’ve ever had an allergic reaction from a coloring session, resorcinol was most likely the problem. Easily absorbed into the skin, corrosive, and often referred to as the paraben of haircare, resorcinol has been deemed by the World Health Organization as an endocrine disruptor. It can cause hormone imbalances, mess with your body’s functions, and cause fertility complications. Pregnant women should steer clear. If that isn’t alarming enough, resorcinol is not regulated and cosmetic companies can use it at will. You’ll often find it in anti-acne skincare and whitening creams, too. Resorcinol allergies are a hot topic right now. While I’ve never experienced this personally, I am concerned about the effects of chemicals on my body, which is why I switched to Madison Reed. (See my review of Madison Reed Hair Color with before and after pics.) This is the only product I’ve found that actually covers gray as well as traditional dye! While not everyone is chemical-sensitive, I don’t think it can hurt to be cautious and limit exposure. Health & Beauty can co-exist; we just have to find the right products! Have you ever tried allergen-free hair care? Share your experience (good or bad). This entry was posted in Beauty/Style on November 4, 2014 by The Jewish Lady. This is something that I’ve never heard of. I don’t color my hair, but I have plenty of friends who do and they are complaining of allergies all the time. I am going to let them know. I was unaware too until recently. I hope this info can help someone who may not know what’s wrong. Hair color is full of harsh chemicals. I plan to quit dyeing my hair soon. Once again, your little sister pointed out something that was life-changing. I am soooo smart 😉 I love my virgin hair and will NEVER dye it!! I have only tried hair dye one time. But that one time I got a hair coloring solution that doesn’t have ammonia. I don’t like the suffer the consequences that are feared about. I have been coloring my hair for years and I had no idea that people could be allergic to it. And here is yet another reason why I try to use products that have the least amount of chemical stuff in them. Love Madison Reed. I just colored my hair! In fact I did a post on it. Good to know about possible allergies. 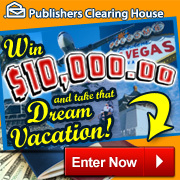 I would love to see your post. Feel free to link up! I’m with you on keeping the gray in check! I guess people can be allergic to anything.. this goes to your scalp so i can see it.. Thanks for those alternatives, i will show my wife, since she has allergies and maybe this is one of them. I have used Henna before and it works great. There are so many great alternatives why risk the exposure if you do not need to. This is really interesting. I guess you do not realize what they put in products until you really read it. I have seen friends go through some horrible things because they were allergic. Thankfully I don’t think it is all too common, and I’m thankful I’m not allergic! I have never even thought about that. We have alot of allergies in our house too. I’ll check out those brands. I will take note of this when apply hair color. Thanks! I never really thought about being allergic to hair colour – but it most definitely makes sense. I personally would never dye my hair with henna as I hear it’s a tough one to get out. But I think I’ve used naturcolour in my hair before! I’m due for another dye-job. It’s so simple a tip but you can’t ignore. Surely I’m not. I always color my hair. Wow, this is very interesting! I didn’t think you could… Well I colour my hair often and I’m fine 😀 phew! This is an interesting post indeed. I love the information and didn’t know any of this. Thanks for sharing. I was never allergic to it – but I do know there are really some who were – they need to know these things. Perms are the thing that get to me. I used to get a migraine all day long after I got one. I wonder if I was allergic to something in it. Good food for thought. I henna my hair! Seriously the best decision I’ve ever made, and the color is absolutely gorgeous. I had no idea you could be allergic to hair color. Thanks for sharing this great info. I can see certain ingredients causing an unwanted reaction since it touches the scalp. Wow! I have NEVER heard of someone being allergic to hair color! But I can totally get it! Thanks for sharing! I’ve never thought of allergen-free hair care! I should probably look into it, although I’ve never had a bad experience, my skin is sensitive and I’m allergic to many things! I have never tried allergen-free hair color but I’m certainly willing to try. I hate adding chemicals to my hair but I hate having gray hair more. Thanks for the information. I was thinking of coloring my hair but I didn’t know people could be allergic to it. I never realized you could be allergic to hair dye. At least not until Abby off of NCIS became allergic to her black hair dye a few months ago.